Nedda Baba and Amber Müller St. Thomas | Kiera Boult | Lesley Loksi Chan| Masoud Eskandari | John Haney | Becky Katz | Leslie Sasaki | David Trautrimas. Hamilton Now: Subject is inspired by the deep roots of culture and creativity in Hamilton and the recent influx of so many more artists to the city. The exhibition features the work of eight local artists, and takes up the key aspects of who we are and how we manifest ourselves in an increasingly fractured world. 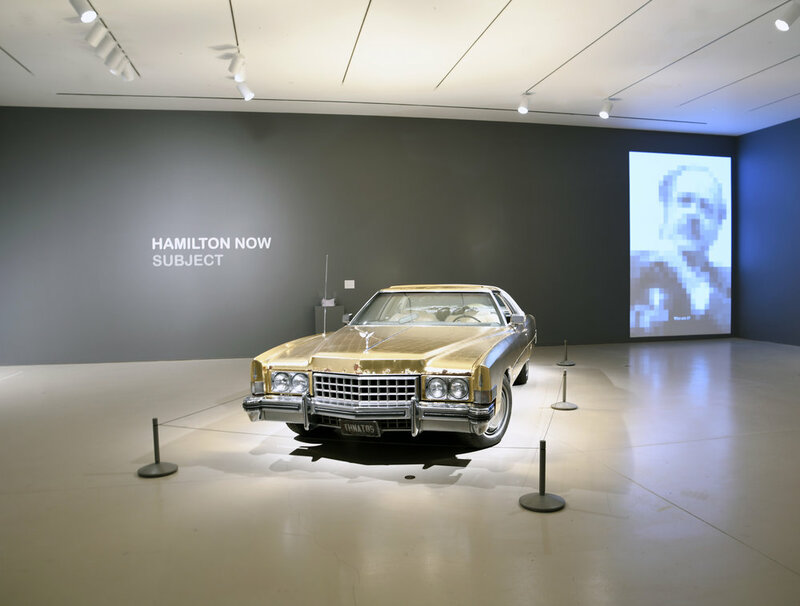 Building on the popular appeal of the 2014 exhibition Painting Hamilton as a highly accessible show that featured the breadth of practices of Hamilton emerging and established artists, Hamilton Now: Subject brings together works in a wide variety of media, including video, sculpture, printmaking and mixed media. As the individual artists address their own questions around identity, they reflect on contemporary ways of representing oneself and explore questions of autobiography. Psychological and spiritual perception, generational identity, gender, queer identities and race politics all come together for an absorbing and completely nuanced expression of the art scene in Hamilton today.